Liquid Libations - Some like it HOT! As the weather is icy and the breeze carries a chill, a steaming-hot boozy beverage can warm you up from the inside out. Here are some places to slip into something hot and cozy. In fact, simply embracing the mug of one of these suggestions instantly add a warmth that will chase the chills away. Mulled Wine is a cold weather tradition at Latah Creek Winery. For quick and easy mulled wine, heat Latah Creek Maywine with a cinnamon stick. Latah Creek Maywine is white blend of premium Washington wines (usually Johannisberg Riesling of Gewurztraminer). Its fragrant woodruff herbs and natural strawberry concentrate heat up nicely into a flavorful warm drink. A liquored up hot tea can be found at Downriver Grill in North Spokane's Audubon Park Neighborhood. Downriver provides a unique warm drink simply called Blueberry Tea. It consists of Blueberry and Earl Grey teas with Grand Marnier and Amaretto liqueurs. 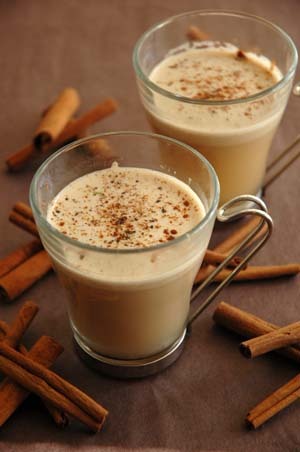 Care to drink your dessert by indulging in Hot Buttered Rum (HBR)? This blissful drink is classically made with sugar, brown sugar, butter, vanilla ice cream, rum, hot water and nutmeg. You can discover noteworthy house-made HBRs at Clinkerdagger in the historic Flour Mill or in The Davenport's swanky Peacock Room. For a twist on this cold weather classic, duck into the Steelhead Bar & Grille for a Buttered Filbert by the fireplace. The barkeepers at Steelhead use their scrumptious HBR recipe but mix it with Kahlua and hazelnut liqueur and float whip cream on top. The Spokane Club is famous for their tradition of Tom and Jerry's. Essentially, this drink is composed of eggs, baking spices, sugar, cognac, dark rum and milk. An annual party celebrating partaking in the cold weather tradition is a popular event. Sans the alcohol, this is a drink the whole family can enjoy. The batter makes an excellent topping for alcoholic beverages as well as hot cocoa, eggnog or warm milk for the kids. Hot Apple Cider is another non-alcoholic way to warm up. We suggest a quick trip to Greenbluff for locally made Cider from Walter's Fruit Ranch or a visit to The Elk in Browne's Addition, where Hot Apple Cider is a popular pour when the temperature drops. Here is a childhood favorite that growns up fast with the proper additions. The Steelhead Bar and Grille serves Sticky Stuff, which is blissful concoction for chattering sweet teeth. The Steelhead bartenders mix amaretto, Malibu Coconut Rum into Hot Chocolate topped with whipped cream. 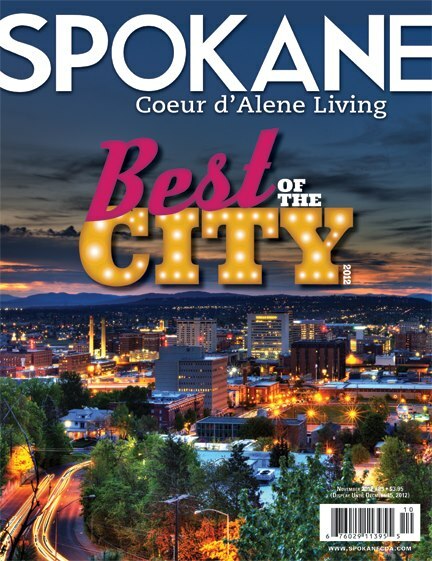 Bardenany Restaurant and Distillery in Coeur d'Alene offers another take. The Bardenay bartenders serve up a Peppermint Patty by their fireplace, which is comprised of Rumplemintz liqueur, Godiva Chocolate liqueur, hot chocolate and fresh cream. Mexican Coffee is a popular warm drink at South Hill's Luna. It is created with coffee, goldschlagger, tequila, Godiva liqueur and a dash of cayenne to add some heat. Another coffee with a kick can be found at The Davenport in the Peacock Room. Warm up and get a bit of a buzz with their Coffee Nudge that doctors up the java with creme de cacao, brandy (the kick), and Kahlua topped with whipped cream. Finally, a practically perfect nightcap is a Hot Toddy, which can be found at Beverly's or Whisper's Lounge at the Coeur d'Alene Resort. The Resort's snuggly Hot Toddy is made with Maker Mark bourbon, lemon, nutmeg and cinnamon. Bardenay features this well recognized drink with a twist by adding Chambord and creating a Raspberry Hot Toddy. 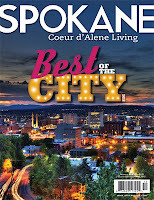 The first version of this article was originally published in the November 2012 issue of Spokane Coeur d'Alene Living magazine.